What is an Inverter? – Inverters offer speed or torque control of electric motors. Maybe you have walked past without noticing them or maybe you know exactly how many you have, either way electric motors play an important role in our everyday lives which most of us are unaware of but, they move and run most things we need for business and pleasure. All these motors consume electricity so need a corresponding amount of energy to provide the torque or speed needed. If the torque or speed is too high or low, mechanical controls are used to control output. A motor’s speed should match exactly what is required by the process, otherwise the result is inefficiency with a lot of wasted materials and energy. Not knowing how to control motors can mean a lot of energy gets wasted which isn’t good for any business. A way to control these motors, which not only saves energy, but improves productivity and reduces maintenance costs, is to use an inverter. So what is an inverter? 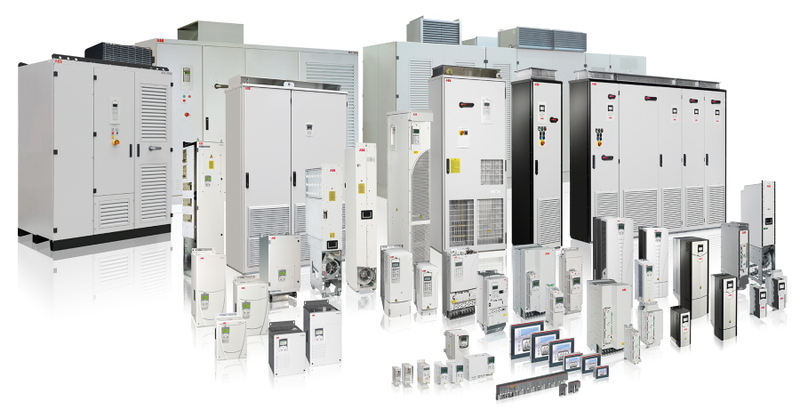 Ours are sometimes called AC drives, Variable Speed Drive (VSD) or Variable Frequency Drives (VFD). The correct term is frequency converter. They sit between the electrical supply and the motor. Power from the electrical supply goes into the drive. The drive then regulates the power which is then fed to the motor. Inside the drive, the input power is run through a rectifier that converts the incoming AC power to DC power. DC power is then fed into capacitors inside the drive to smooth out the electrical wave form which provides a clean power supply for the next step. Power then flows from a capacitor to an inverter which changes the DC power to the output AC power that goes to the motor. This step allows the drive to adjust the frequency and voltage that is supplied to the motor based on your current process demands. This means the AC power is run to the speed or the torque of the demands needed. This is why you can save large amounts of money using our AC drives.